“It’s been a strange night,” says the protagonist in Woody Allen’s film, Shadows and Fog (1991). And a strange night it is. This surreal tragicomedy features the bumbling Kleinman (Woody Allen) adrift and directionless in the “shadows and fog” of life in an existence where everyone else seems to know exactly where they are going and where death is a nameless killer ever lurking in the shadows. Kleinman is invisible, a ghost in a world of flesh and a story of coincidence. A cursory glance reveals a clumsy film which is episodic, disconnected, strange and star-studded with actors like a pathetic publicity stunt. However, a much closer inspection is required in order to uncover the gold hidden beneath this deceptively layered film. 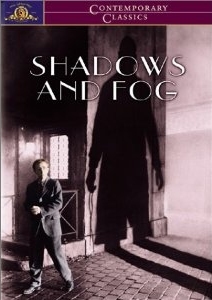 Shadows and Fog is an 85-minute metaphor for life in the macroscopic sense. Every scene is a sampling of some form of human existence, a circus filled with “theories and questions” which masks the true meaning of humanity. Ominously looming over the film’s rich qualities are a number of detractors. The film feels coarse and drifting, like the filmmaker wasn’t satisfied with the end product but resigned not to fix it (or wasn’t sure how). Scenes of maladroit exposition and dialogue appear too far into the story to justify their inclusion and are all too often coupled with less-than-desirable acting and blocky line deliveries. 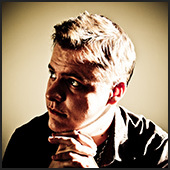 The episodic nature of the story serves to confuse more often than engross. The end result is a film whose pacing ebbs and flags and whose quality is uneven. To sum up with a paraphrase from the magician (played by Kenneth Mars): “People need illusions, like they need air.” Cinephiles and Woody Allen fans delight, all others take flight.